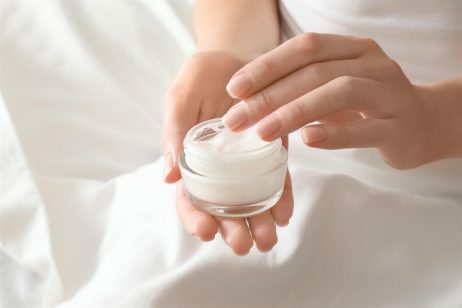 C13-14 isoparaffin is a petroleum-derived ingredient that is used in cosmetics and personal care products primarily as an emollient, but may also function as a thickening agent or gelling ingredient. Isoparaffin is a type of paraffin, or alkane. In organic chemistry, a paraffin is an acyclic saturated hydrocarbon (mineral oil). To put this in simpler terms, a paraffin consists of only carbon and hydrogen atoms arranged in a tree structure in which all the carbon-carbon bonds are single. An isoparaffin is a branched-chain paraffin. The C followed by the numbers in the ingredient name represents the number of carbons in the chain. Thus, C13-14 isoparaffin is a mixture of branched-chain aliphatic hydrocarbons with 13 or 14 carbons in the chain. Isoparaffins are not very reactive and have little biological activity. Since the hydrogen and carbon atoms are arranged in a tree structure, they are useful for attaching more active functional groups of biological molecules. Examples of cosmetic products that contain C13-14 isoparaffin include moisturizers, foundations, sun care products, lip products, deodorants and antiperspirants, makeup removers, and hair care products. In cosmetics and personal care products, C13-14 isoparaffin functions as an emollient, thickening agent, and gelling ingredient. C13-14 isoparaffin is often found in creams, lotions, and other moisturizers due to its emollient properties. As an emollient, C13-14 isoparaffin has the ability to soften and soothe the skin. It also acts as an occlusive agent by forming a protective layer on the surface of skin. The film helps to prevent evaporation of the skin’s natural moisture and increases skin hydration by causing buildup of water in the stratum corneum (the uppermost layer of skin). Due to these properties, C13-14 isoparaffin is an excellent ingredient for those with dry, flaky skin. C13-14 isoparaffin can also be found in hair conditioners and other hair care products because of its emollient properties. Similar to how emollients work on the skin, an emollient for hair should easily form a smooth, even film on the surface of the hair. This film helps to seal in moisture and soften the hair. Emollients act as lubricants and provide increased slip between adjacent hair strands, which makes detangling much easier. Hair emollients also smooth and flatten the cuticle surface, which adds shine and gloss to the hair. The wax-like texture of C13-14 isoparaffin allows this ingredient to thicken the consistency of cosmetic products. Adding C13-14 isoparaffin to a formulation results in a smooth, shiny, and soft texture. It can also be used to create non-tacky gel formulas, which is why it is considered a gelling ingredient. The United States Food and Drug Administration (FDA) permits synthetic isoparaffin petroleum hydrocarbons to be used directly in some foods. For example, these compounds are permitted in coatings on fruits and vegetables. The safety of C13-14 isoparaffin, as well as the other isoparaffin ingredients, has been assessed by the Cosmetic Ingredient Review (CIR) Expert Panel. 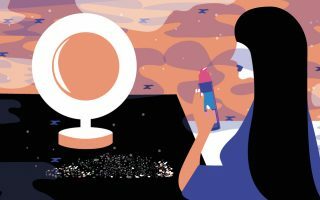 The Panel evaluated the scientific data and concluded that these ingredients were safe for use in cosmetics. Despite these concerns, the potential presence of 1,4-dioxane can be controlled through purification steps to remove it before blending C13-14 isoparaffin into cosmetic formulations. References for this information: Wikipedia, “Alkane”, Organic Consumers Association, “1,4-Dioxane and Cosmetic Safety”, Cosmetic Ingredient Review, C13-14 IsoParaffins as used in Cosmetics, 2010.